Want to win an exclusive Chickadvisor 24K gold foil mug? Chickadvisor is giving away 50 of these, plus 100 Chickadvisor points in this latest giveaway! At the link below you will find a list of featured products which you can click on to review. When you complete a review on these products that you have personally tried you will be entered to win. Contest ends August 31, 2016 or while supplies last. The contest is open to legal residents of Canada who are of age of majority in their province or territory. 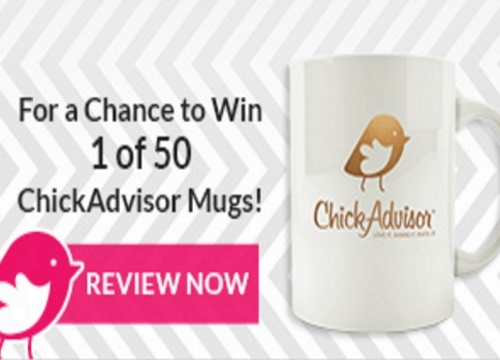 There are fifty Chickadvisor mugs to be awarded. Potential winners will be contacted by email no later than September 9, 2016 at 5pm and must respond to confirm their win. By posting a review on Chickadvisor, you consent to the possible use of your quote by Unilever in advertising.